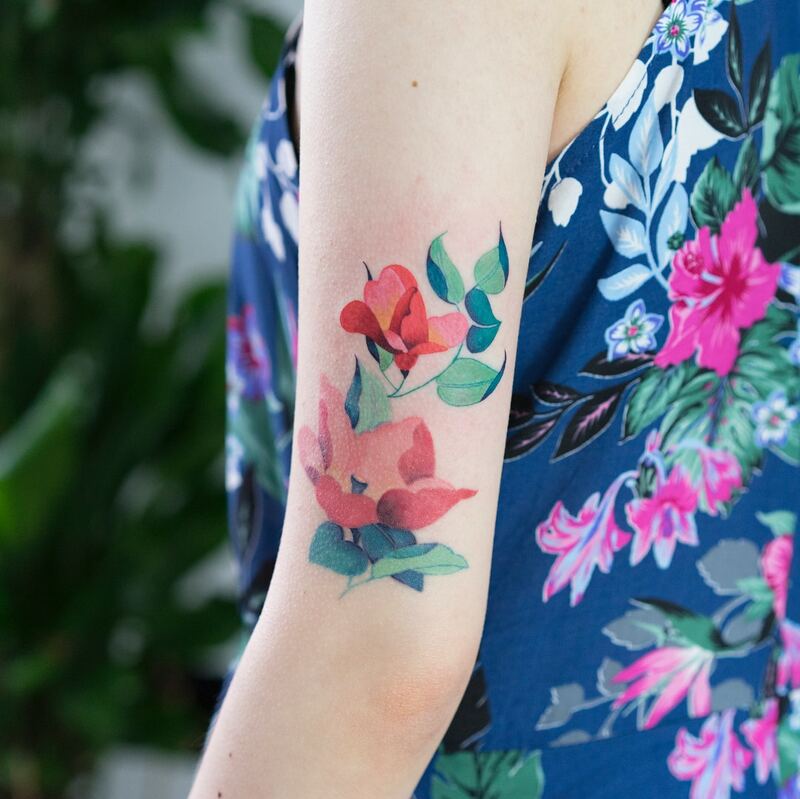 Floral designs have been a popular request in tattoo studios across the globe, but that doesn’t mean that these inked floral patterns are all alike. 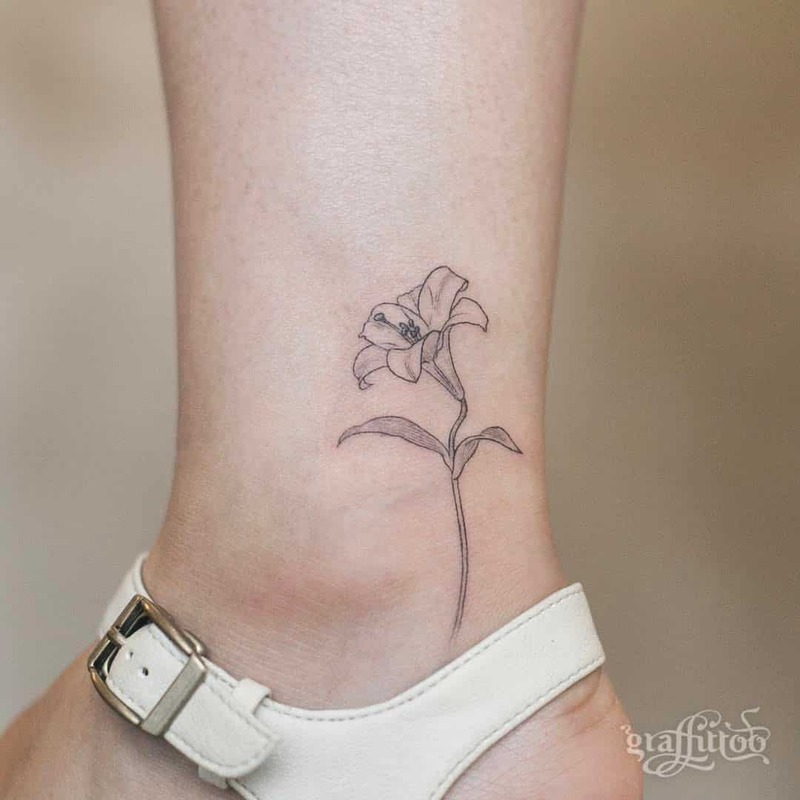 Some of the best floral tattoo patterns in the world come in all sorts of shapes, sizes, and styles. Body art is as important as traditional painting, it takes a lot of skill and attention to detail to compose breathtaking pieces of art. 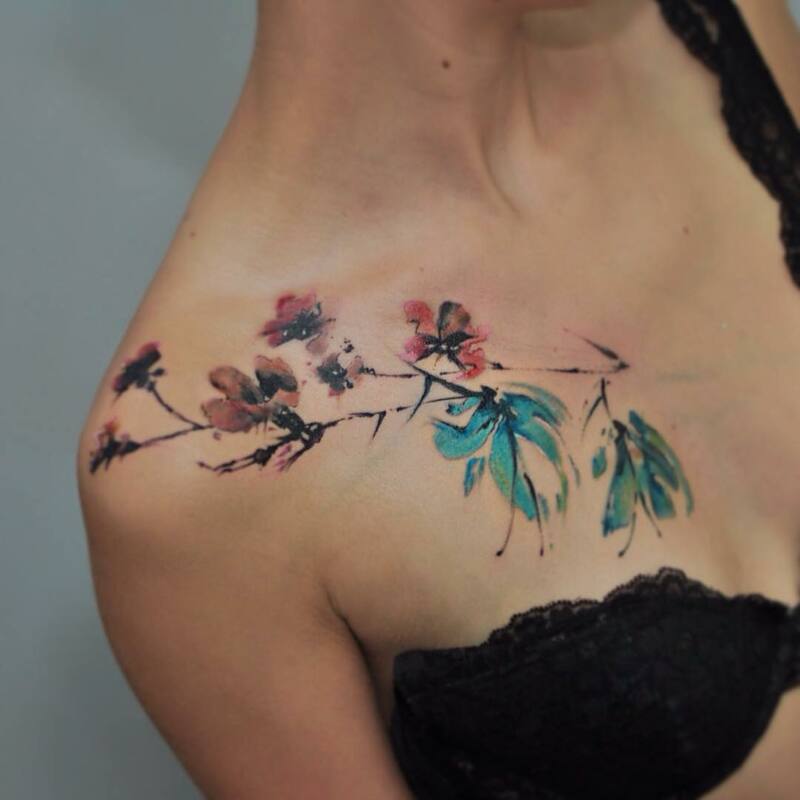 These talented tattoos artists need the recognition they deserve for their incredible work. 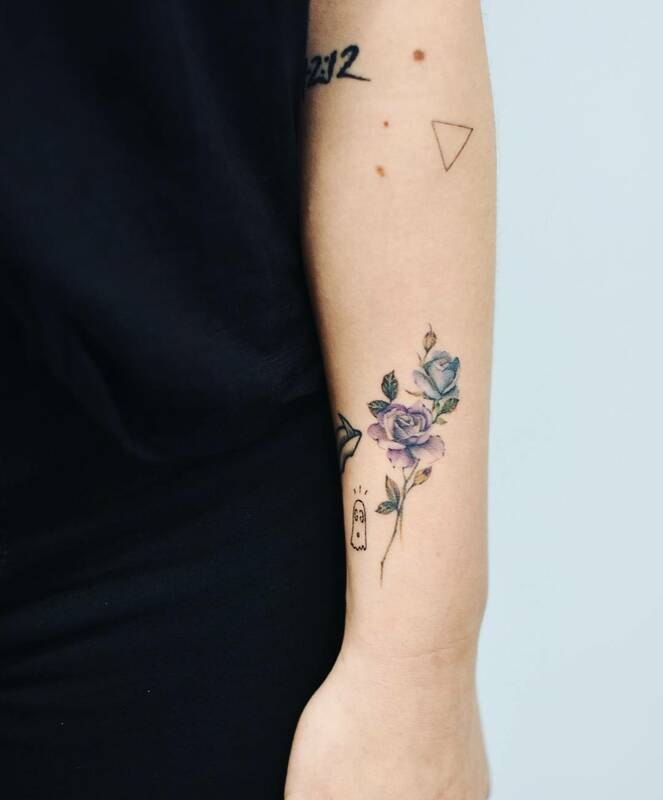 Meet some of the best floral tattoo artists in the world and celebrate art with us. 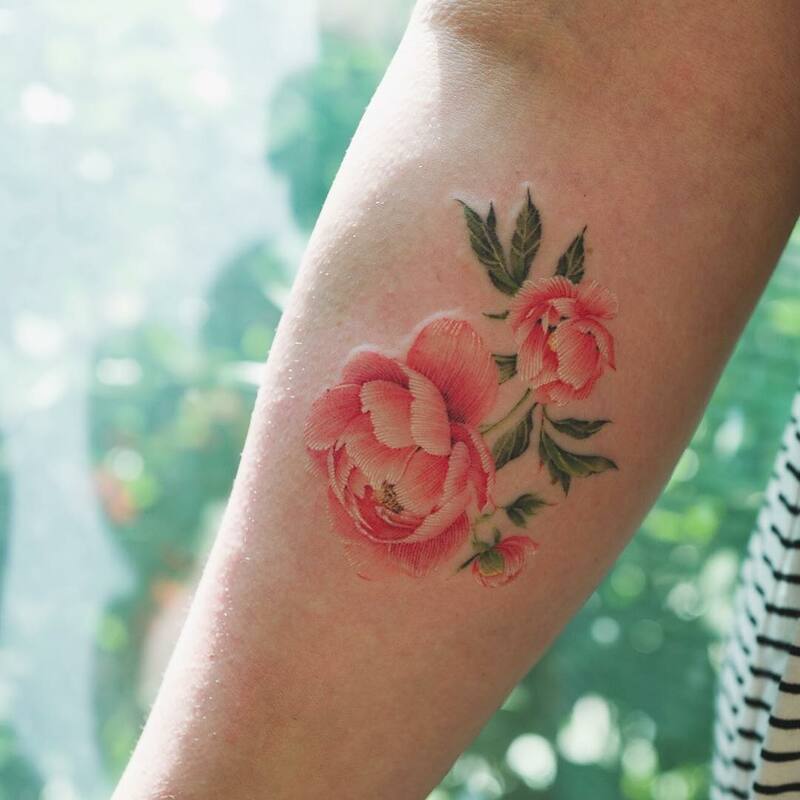 Mini Lau, is a well known Hong Kong-based tattoo artist who creates beautiful light and airy designs in candy-colored tones. 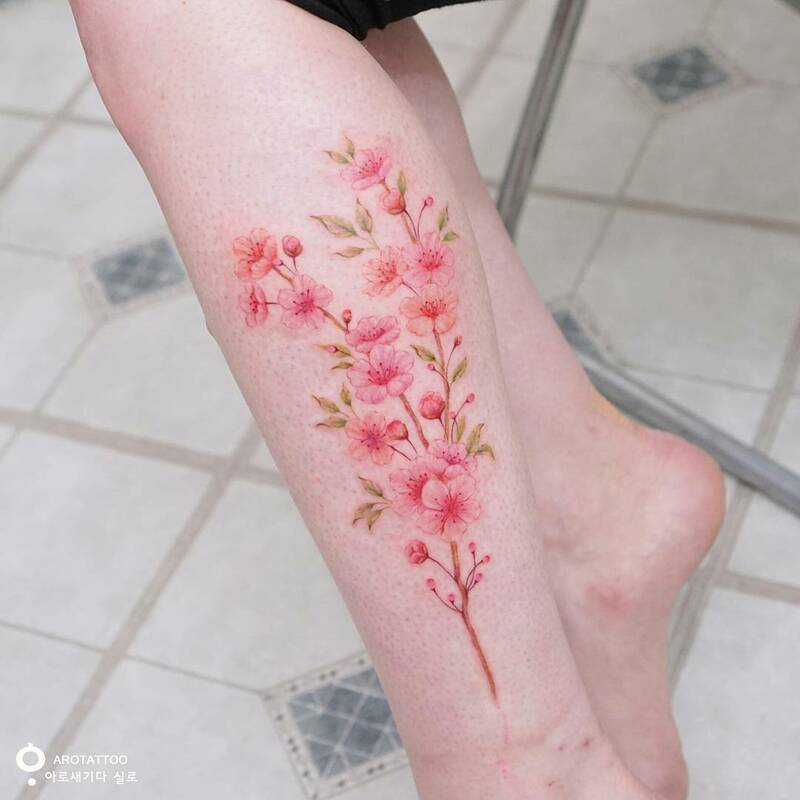 Sol’s work is focused on the Korean tattoo-style. 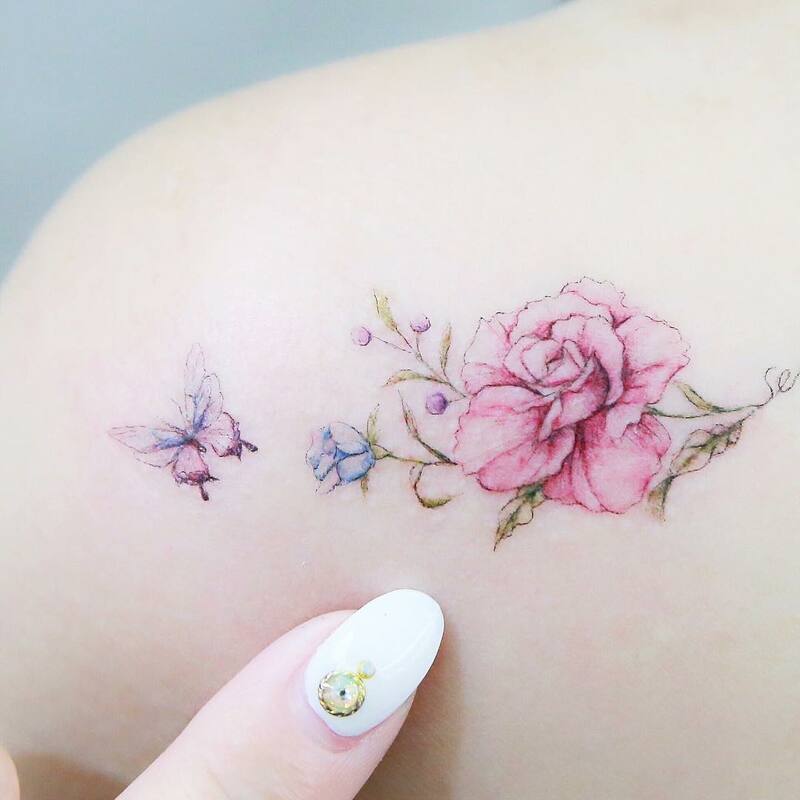 A genre renowned for its tiny tattoos featuring pastel-like shading. 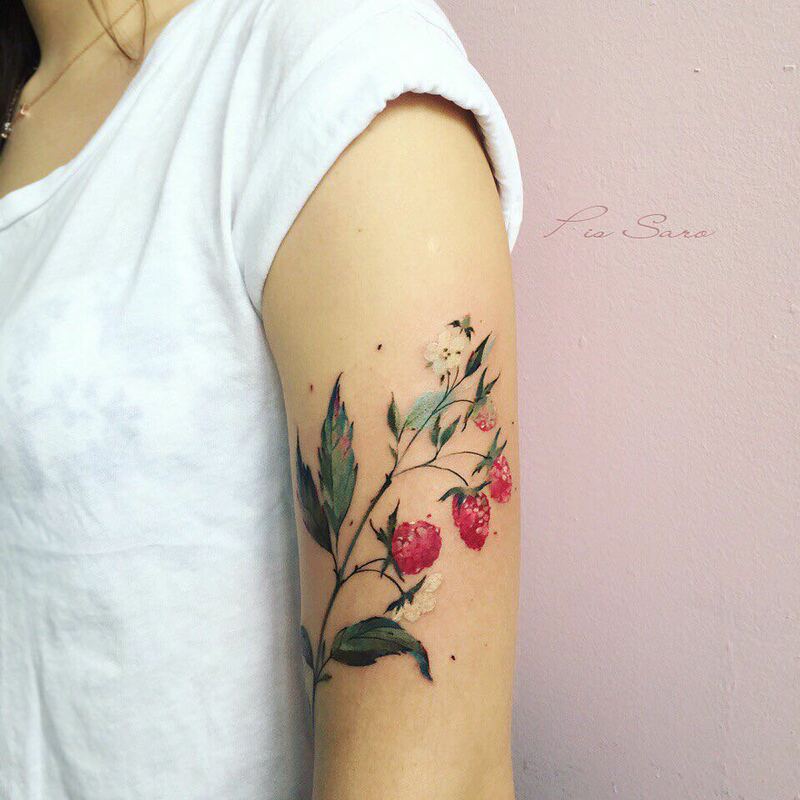 Pis Saro designs are inspired in the fluidity of watercolor paintings in which creates delicate flower tattoos. River’s most notable floral works are elegantly designed with traced fine black lines. 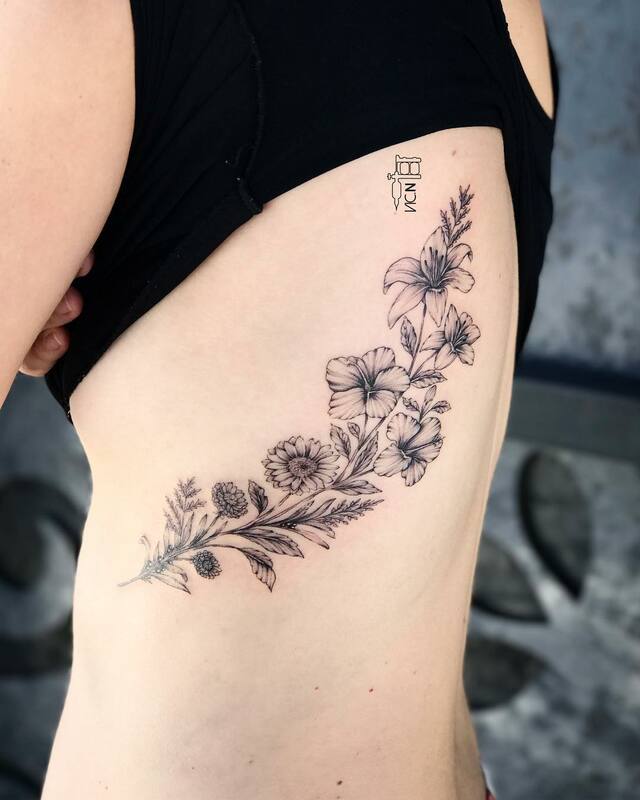 Rita Zolotukhina work focuses on “botanical fingerprint” tattoos, in which the pattern of the flower is preserved on the body forever. 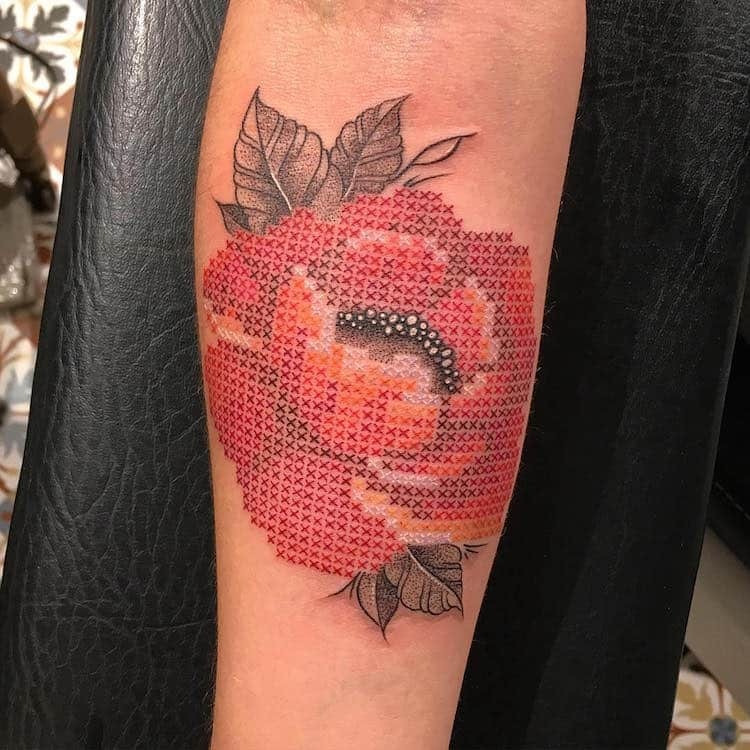 Eva Krbdk most memorable floral work is inspired by cross-stitch composed of a grid-like collection of small ‘stitches’. Magdalena Bujak designs recall the soft color and ethereal aesthetic of a pastel drawing. 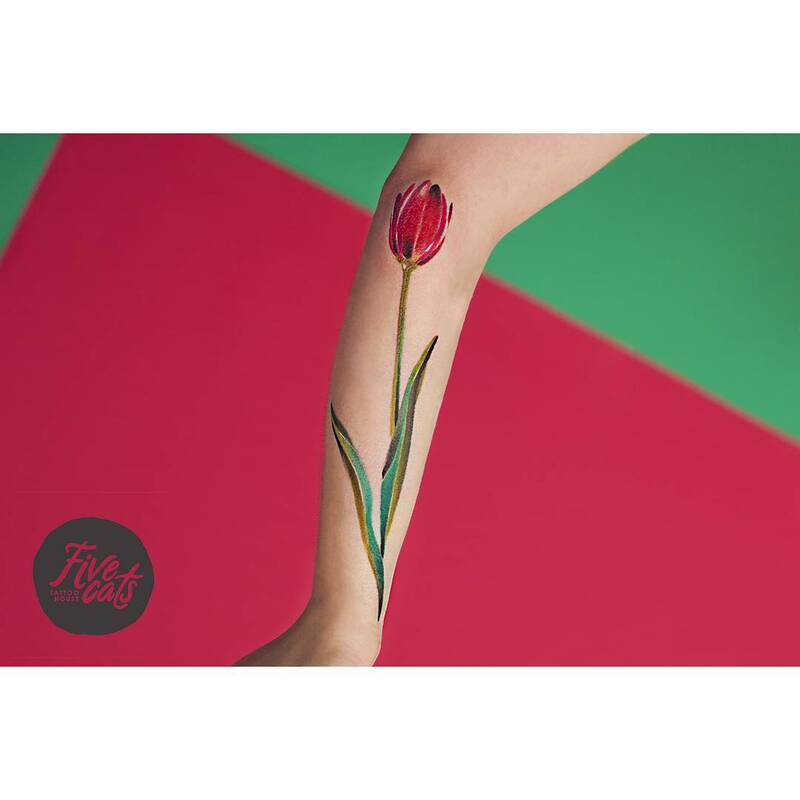 Seoul-based artist Zihee specializes in flower-inspired ink, with bright blocks of color and no black lines. Korean artist Hongdam work is inspired by the watercolor trend, capturing the fragile nature of blooms and blossoms with it. 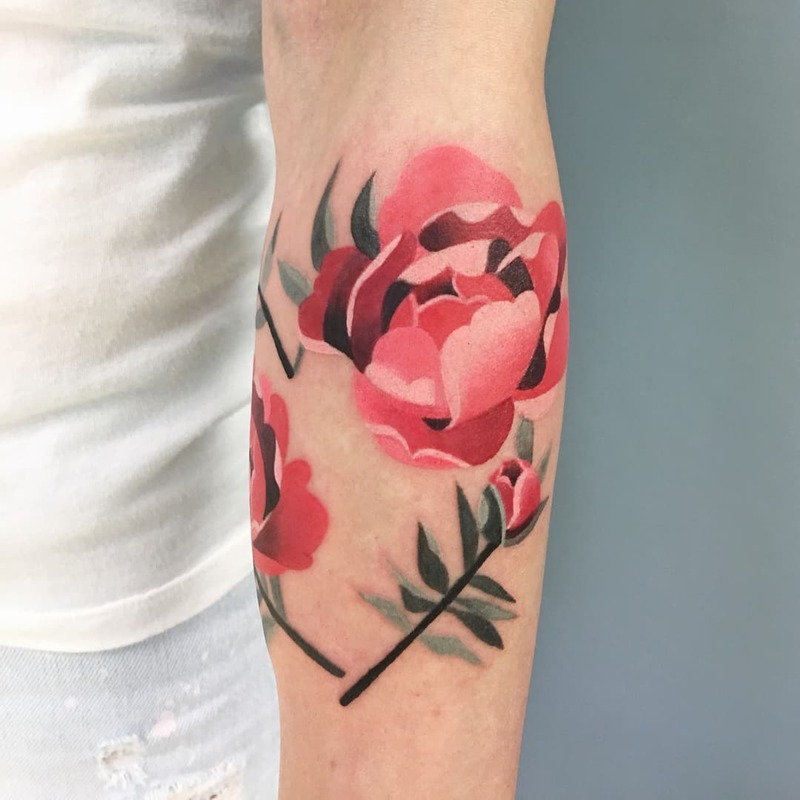 Silo’s work is designed with a warm color palette, and a minimal amount of dark ink in order to capture the delicate nature of flowers. 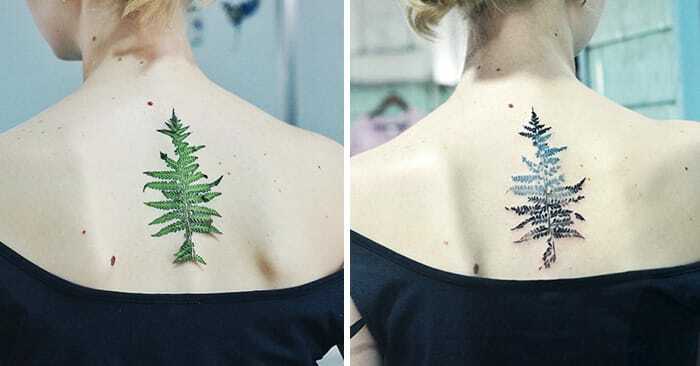 Ukrainian artist Aleksandra Katsan is known for her illustrative, bright watercolor tattoos often splashed by black pigment. Sasha’s eye-catching work is stylized with no black lines. 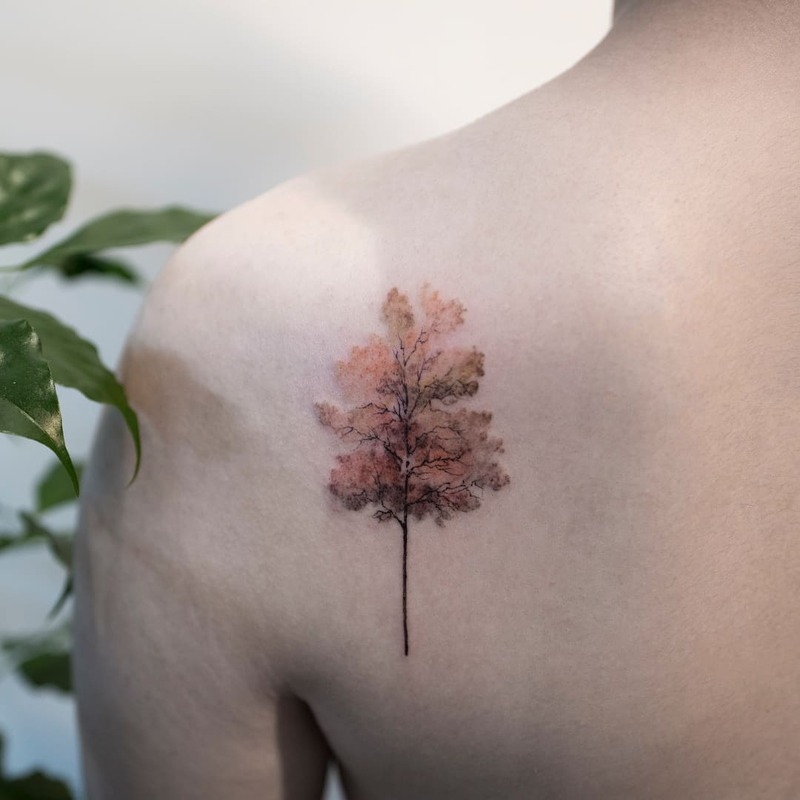 Drag Ink work is inspired by real-life nature featuring softly blended pastel colors. 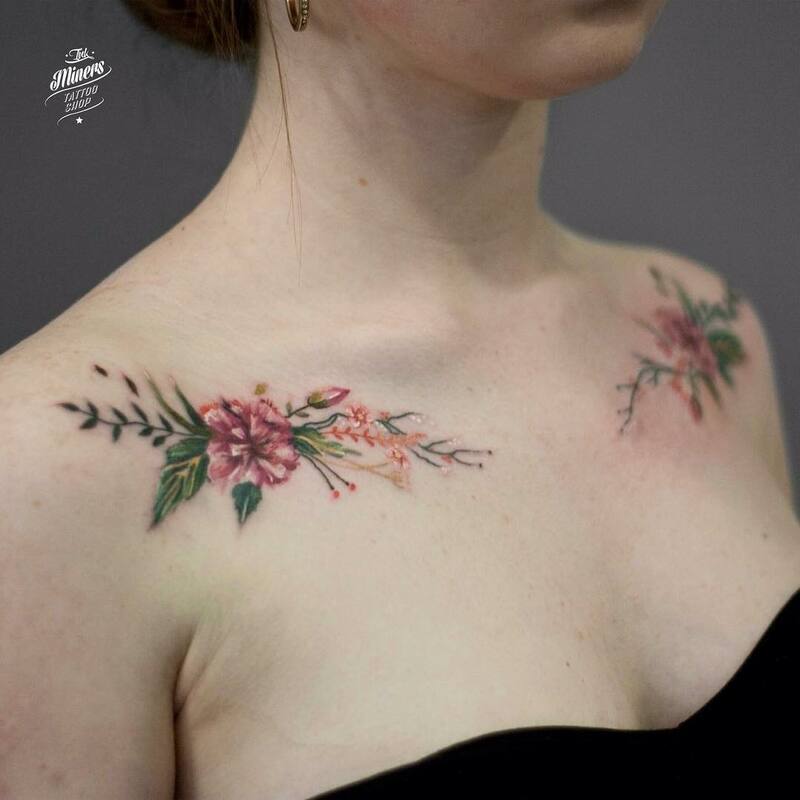 Diana Severinenko work is known by her details in the lines, that adds a delicate touch to her strong designs. 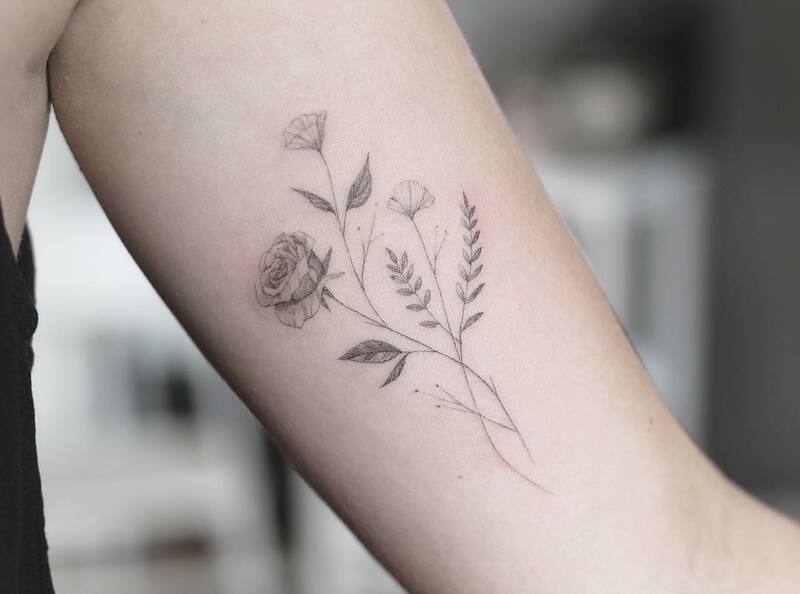 Vic Nascimento’s pencil-like work is often beautifully showcased in black ink. Buenos Aires-based artist designs lovely floral patterns with minimal lines and beautifully blended colors. 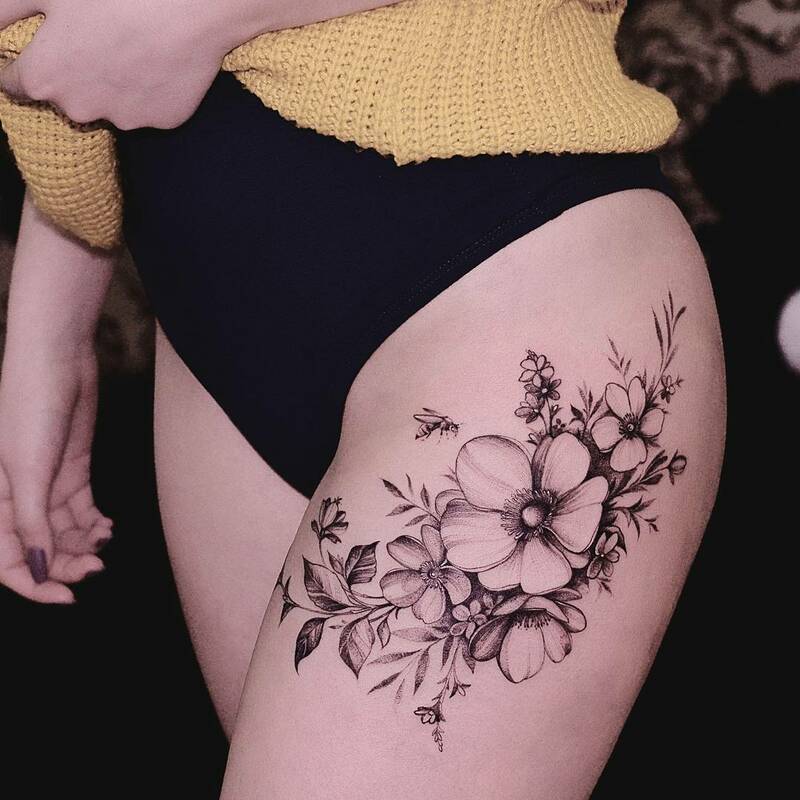 Kiev-based Vlada Shevchenko works exclusively in black ink to create her beautiful and strong floral patterns. 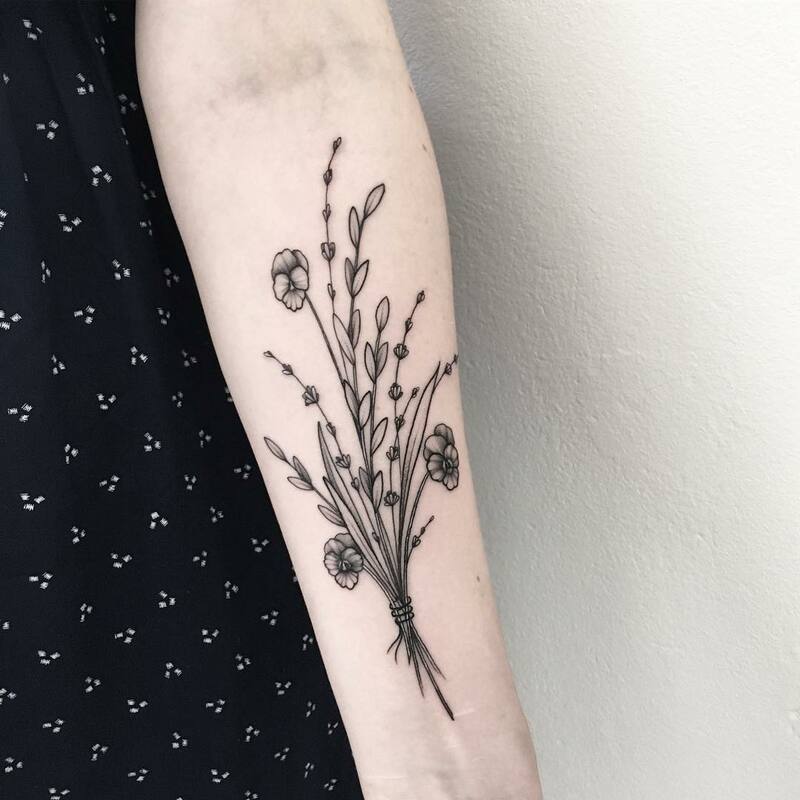 Lindsay Asselstine specializes in small and highly minimalist pencil-like portrayals of flowers and foliage. 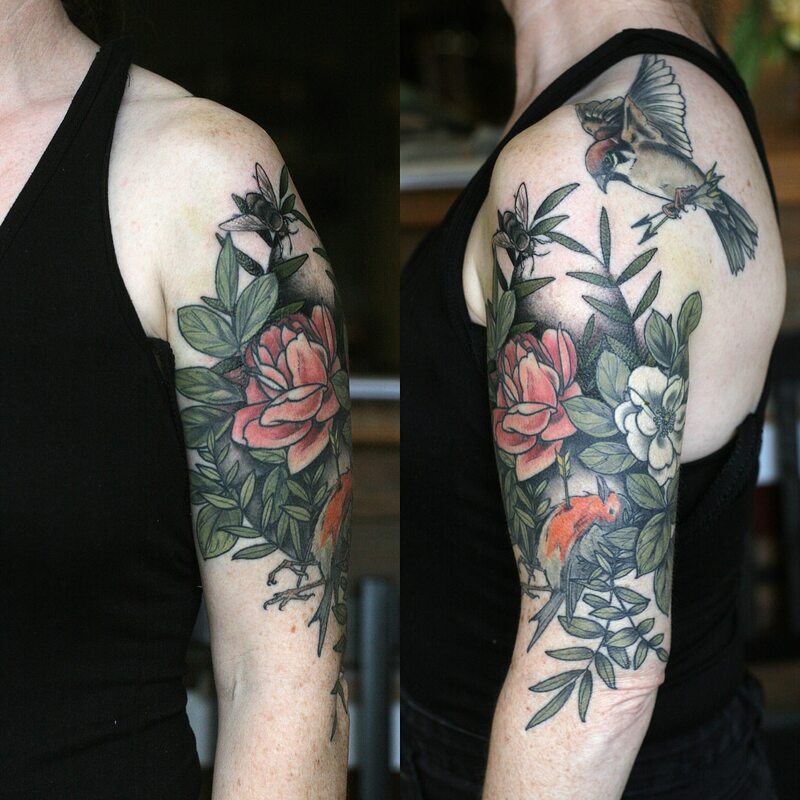 Oregonian artist Alice Carrier use thick outlining and dark colors to decorate the skin with her bold botanical-inspired illustrations.